It can’t be bought or sold, but it can be planted and cultivated. Don’t even try to understand it because you won’t. However, you’ll recognize it when it’s around, and you’ll know when it’s gone. It’s both accessible and elusive. While it is the opposite of strife, men have fought wars to gain it without knowing it comes from within. What I’m talking about is peace. I can usually predict when an otherwise well-kempt student is going to have a bad day by looking at their hair. Almost invariably, if they come into the classroom in the morning with uncombed or unfixed hair, their behavior follows suit for that day. They generally cause problems during instruction, in the hallway, or in the cafeteria. Sometimes, they end up getting in a physical fight with a classmate. They may blame their opponent for starting the fight with them but after some prodding, you realize that the fight began with them before they arrived at school. They had an issue that began at home that was not resolved and since misery likes company, they brought it to school. Anger, resentment, frustration, hate, and bitterness create inner turmoil. These emotions rupture our internal equilibrium, and if left unresolved can destroy our lives. If a spouse offends us and we don’t talk about the problem. we set ourselves up for a divorce. One small hurt festers into something big. We all have problems in our lives; how we handle them is what separates the resourceful from the helpless. Failure to acknowledge our issues or burying our anger is not the best way to deal with the challenges that we face every day. We must recognize and deal with negative emotions head on so that they don’t overwhelm us. It does not mean that we are in control of our emotional well-being because we don’t go to work throwing chairs and firing shots at our coworkers. Disparaging a subordinate in front of others, agreeing with wrong simply to please others, and covertly discriminating against someone because of the person’s race, gender, and origin are symptomatic of deeper problems in our lives. We hurt others because we have hurt. Unfortunately, many of us don’t even know that we do and if it’s revealed to us, we will not admit it because we are afraid to confront us. We have been taught so long to bury our emotions to save face that we have become numb to ourselves. Consequently, we have a lot of functional dysfunctional people working in our institutions. They are a disaster waiting to happen. We see it over and over again in the news. Mother murders children. Judge commits suicide. Doctor shoots former coworkers. The list goes on, but I must not forget the number of killings carried out by disgruntled postal workers in recent years. It became so frequent that the expression “going postal” has become part of our vocabulary. It’s sad that people laugh at this expression. Lack of peace is not a laughing matter. Although we shy away from talking about it, we are seeing the effects of it in our society and in other parts of the world. There are wars and rumors in foreign lands, terrorism, and unthinkable forms of an atrocity of man against man. In our country, it seems like every man is against his brother and his brother against him. Nobody wants to bury the hatchet. From the highest to the lowest office in our land, people denigrate each other and engage in immoral and illegal acts, but are unwilling to admit wrong. All these are the result of the absence of peace. To say that a person who has peace has a pollyannish view is mistaken. Having peace does not mean that one does have emotions like anger or that one is without problems. It means that one is able to cope with stress because one has or can access the resources for doing so. Moreover, one does not go into denial and buries the problem, hoping it will never resurface. Be careful for nothing, but in every thing by prayer and supplication with thanksgiving let your requests be made known unto God. 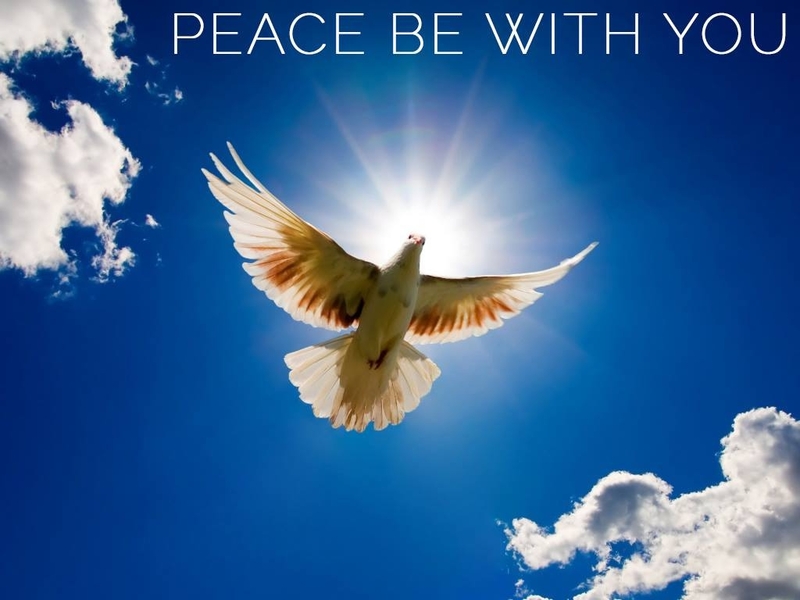 And the peace of God, which passeth all understanding, shall keep your hearts and minds through Christ Jesus ( Phillipians 4:6-7 KJV). For God is not the author of confusion, but of peace, as in all churches of the saints (1 Corinthians 14:33, KJV). Now the God of hope fill you with all joy and peace in believing, that ye may abound in hope, through the power of the Holy Ghost. (Romans 15:24, KJV). Thou wilt keep him in perfect peace, whose mind is stayed on thee: because he trusteth in thee (Isaiah 26:3, KJV). And let the peace of God rule in your hearts, to the which also ye are called in one body; and be ye thankful( Colossians 3:15, KJV). Follow peace with all men, and holiness, without which no man shall see the Lord (Hebrews 12:14, KJV).